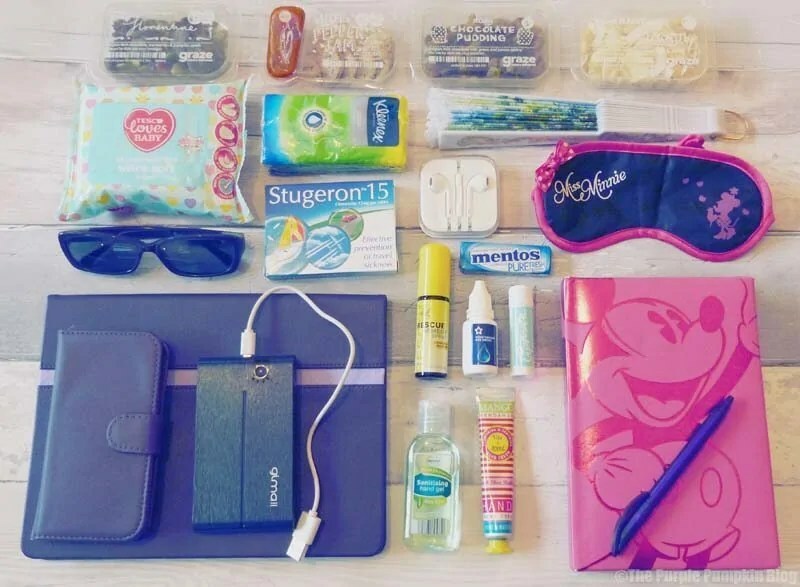 What's In My Cabin Bag? 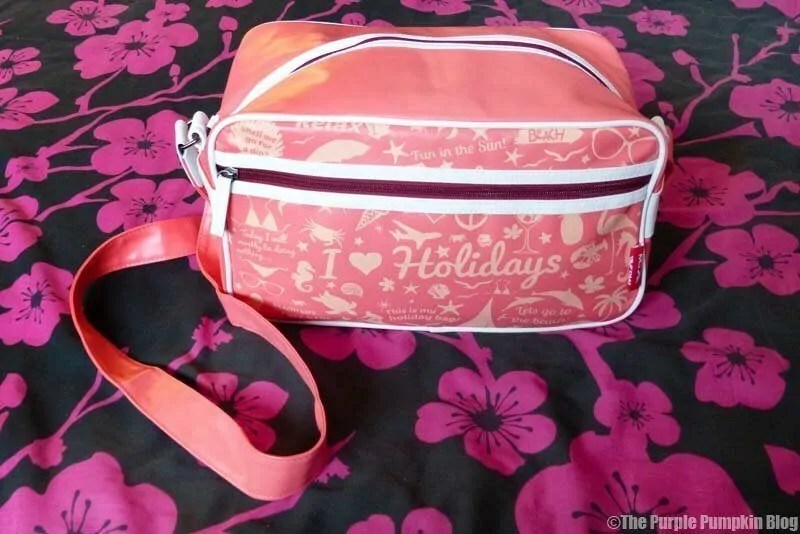 If you’re a regular reader of my blog, you will know that we are off to Walt Disney World very soon (read my Halloween in the Wilderness Pre-Trip Planning Report here) and that means I need to get my cabin bag sorted for the flight to Orlando. It has been designed to fit perfectly under the seat in front of you, which is really handy, as it saves you having to worry about space being available in the overhead bins. Last year, we flew with Delta, long haul, as well as a short 1 hour flight from Atlanta to Orlando. The Americans LOVE their hand luggage, and space in the bins was at a premium. At one point, a staff member was actually asking passengers if they would check their bags instead as there was not enough room. Another advantage of such a compact bag, and being able to safely put it under the seat, is that you don’t have to wait for the seatbelt light to go off to access it. I know there have been times when we’re still ascending, and I desperately needed something from my bag… in the overhead locker. 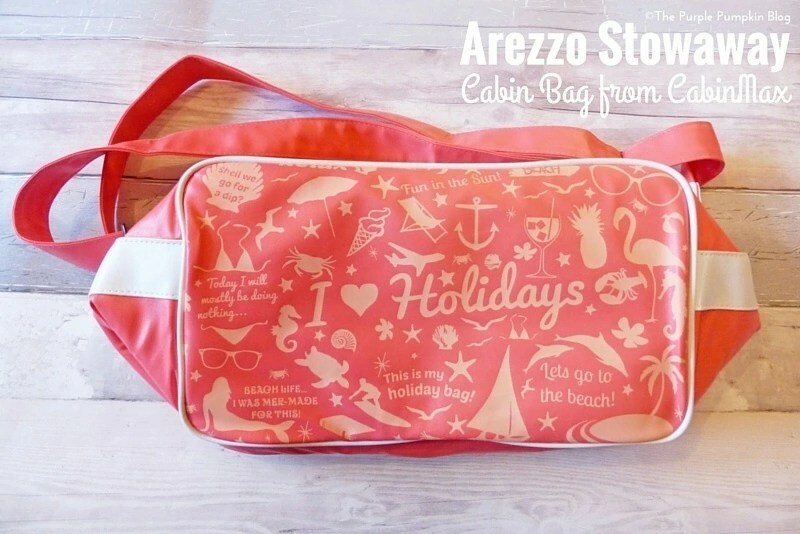 The bag has one large zip compartment, a zip pocket on the inside and outside of the bag. The external pocked is wide enough to fit your boarding pass and passport. As well as the aforementioned dimensions (20x35x20cm), the bag is very lightweight – weighing just 0.4kg, which means, that it isn’t taking up too much of the airline weight allowance (if there is one). 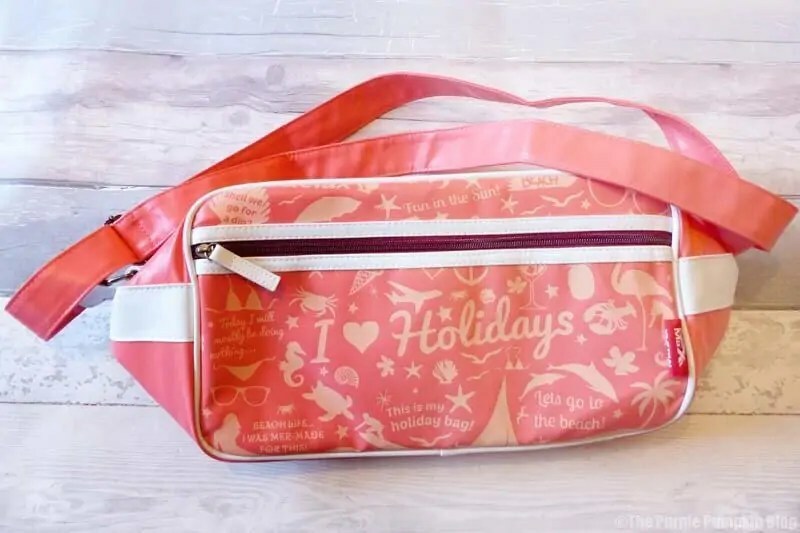 The adjustable shoulder strap can be adjusted for any height, and, as a plus size girl (size 28/30) I’m happy to report that it can be carried cross body too, which believe me, pleases me no end! The one thing I do miss, is handles – just so I could pick it up and carry it around if I needed to. Perhaps in a second version we’ll see that feature? Now that I’ve told you about my cabin bag, let me tell you what’s in it! 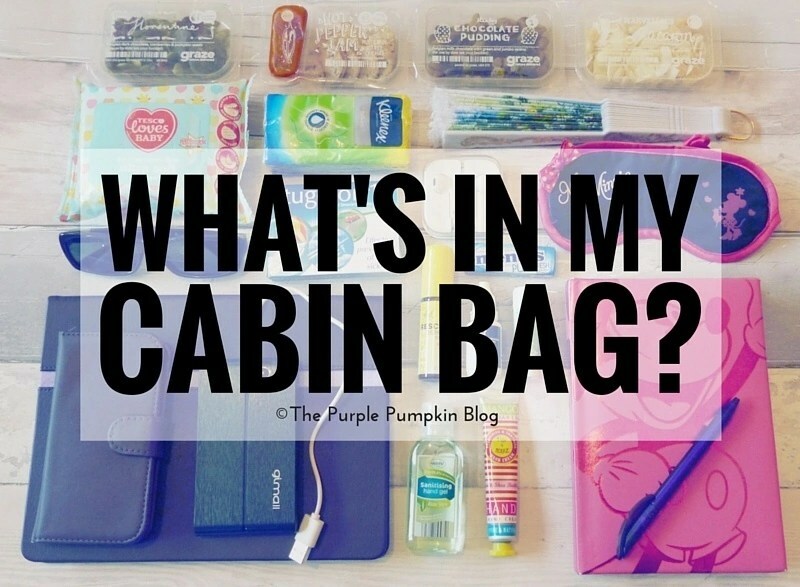 What’s In My Cabin Bag? iPad – loaded with games that I can play offline. Charging lead for the above devices – they use the same one, which is very handy. Charging pack – because on a 9+ hour flight, those batteries are going to run out! When flying to and from the UK make sure your electronic devices are charged before you travel. If your device doesn’t switch on when requested, you won’t be allowed to take it onto the aircraft. We make sure that all of our devices are full charged, before we go to the airport. They must be removed from your bag when going through security, so have them out and ready to do so. Sanitising hand gel – handy if the soap in the loos runs out. Hand cream – all that air-con on the plane dries the skin out. Eye drops – and the eyes. Lip balm – and the lips. Body spray – not pictured, but a small travel size one to freshen up with. Bach’s Rescue Remedy – whilst I’m not scared of flying, I do find nerves start to set in on the morning of a flight. I buy the spray version, and use it a lot until we have taken off. So whilst the clear plastic bag is not shown in my photo, the items are all tucked safely inside one, and put at the top of my bag for me to easily get to when going through security. Mickey Mouse notebook + pen – because I find it easier to write my trip report notes by hand, than tapping away on my iPad/iPhone. I start making notes from the hotel, the night before we travel. Sunglasses – as soon as I hit the Florida sunshine, these go on! I wear prescription glasses, so need the same for my sunglasses. They go in a case (not shown). Travel sickness tablets – I suffer from motion sickness, so these tablets are a must. I’ve been using Stugeron for years, and find they work the best for me. Ear phones – I never like the ones they give you on the aircraft, plus I can tune out with these and listen to music on my phone. Chewing gum – to keep breath fresh, and also to help combat blocked ears on the descent. Eye mask – to block out light and try to get some sleep on the flight – more so on the flight back from the US which is overnight. Hand fan – this is my secret weapon when in Orlando, which is HOT! Even at this time of year, it’s still in the 80s. Snacks – I have a tradition of buying us all a graze box for the flight. I take the punnets out of the big box they come in though, as they’re easier to tuck into our bags that way. I also make sure we eat them before landing in Orlando. There are a couple of other things that are not included in the photo above. I popped these items into a Minnie Mouse make up bag to keep everything together. Prescription medication + copy of prescription – I always take these in my cabin bag, and make sure I have enough for more than the time we are away, in case of delays. The copy of the prescription is so that I can get it filled in a pharmacy if I needed to. Spare underwear – just in case! I always like to think that our luggage won’t go astray, but if it does, at least I’ve got spare undies! Rosary Beads + St. Christopher pendant – these go on every aeroplane journey with me. Flight socks – I put these on before we get on the plane. Make up – sure, I’d love to be all glam and gorgeous to go through customs and immigration, but my make up bag takes up precious space, and I never bothered to re-apply it as we land. Hair brush – I generally wear my hair up, so having to brush it is not required. Purse – I keep my credit/debit card and driving license in my phone case, and so no need to take my big bulky purse with me. Books/magazines – I have a Kindle app on my iPad, as well as electronic magazines, so no need to take a hardcopy of these. Since we are staying in a hotel the night before our flight, I’ll also be taking a change of clothes, with the clothes from the day before being popped into the suitcase before checking the luggage in. So in addition to the above, I’ve also managed to fit in my clothing for the next day – I generally wear leggings, and a loose fitting top for the most comfort on the plane. I wear minimal make up when flying too, so I take the last dregs of make up with me, so that I can just toss the empty containers. So far, I’m pretty impressed with the bag – it’s compact, cute and holds a lot of stuff! Here it is, all filled up and ready to fly! I’ll return to this review when it’s been to Orlando and back again! That is so cute, my carry on is always full of far too much! Hope you are having a fab hol!